The SIP migmate series of welders are/were an affordable mig but they suffered from a terrible wire feed. A friend of mine owns one and as I was bored and he wasn't using it he brought it over for some lookin. To Robs mig i added a 1.5A 24dc power supply as a dedicated wire feed. this would stop the feed stepping up with the welding voltage and varying under load. 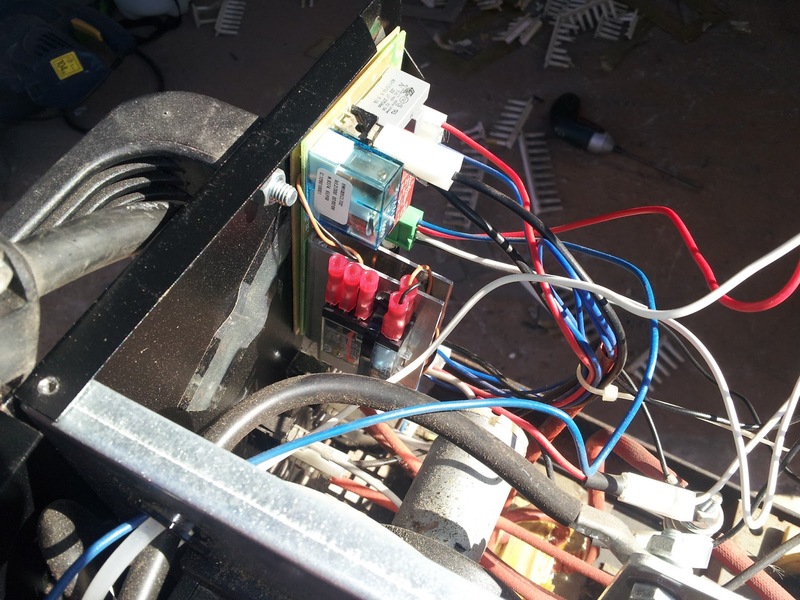 Also a relay to trigger it was connected to operate simultaneously with the welding current transformer. This is also arranged in such a way to short out the motor to stop it dead, over-running being oner of the little migs issues.I zip tied it to the heat sink on the card. Robs SIP has a metal feeder liner not the plastic one so that doesnt need upgrading. I would like to change the gas hose to accept a normal gas regulator and brace the wire feed rollers together as they do spread slightly when tensioning but Rob wants his mig back! Can you still control the wire feed speed with the dial on the front of the welder wit this mod? I also have a SIP 130 with poor wire feed, and will be doing this mod soon! Hey really wonderful post your have shared here, I have bookmarked your blog for the future references. Keep posting the article on this topics, i like to visit your blog once again for future updates . We are leading manufacturers of stainless steel Wires,iron,etc, we are engaged in manufacturing of various kinds of metals like wires,stainless steel & iron like MIG Wire & TIG Wire Iron, Stainless Steel Wire & Iron, etc. Nice information posted here. if anyone looking for steel fibre then you can contact Precision Drawell. I really like this article, i really appreciate your in-dept research. We are leading manufacturers of PTFE Wire, Teflon Wire, Stainless Steel Wires, MIG Wire Welding, TIG Wire.